Its that time of year again…harvest. Though to look at this picture you’d think it was okay, but for our area in WA it’s quite grim. There was hardly any rain this year to help finish the crops. I think I heard it said that it’s the third worst year ever recorded…I may be wrong but it’s not bloody far off. I’m not a farmer, but my friends are and my dad is a local contractor who carts their grain. He’s not going to have much work this year. Normally he puts on a worker to drive his other truck, but this year he can cover it easily by himself…and he’s picked up extra farmers this year as other contractors head to better areas chasing more work. The heads in the above picture look alright but when you rub the grains out they are small and pinched/shrivelled. 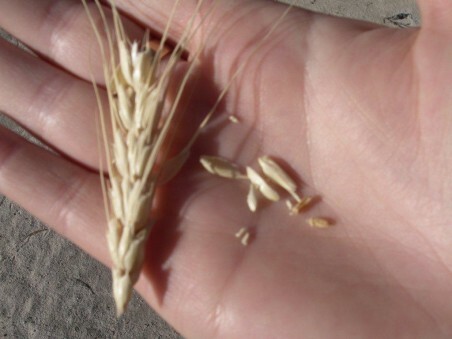 There are two tiny grains of wheat on the left side of my palm next to the chaff/white heads. 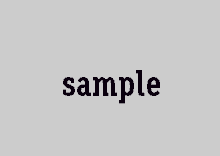 When a sample is taken these grains end up becoming screening, and too much of them the farmer gets his load docked. This year they also have the problem of picking up stones and other crap in the header comb due to the crops being so low to the ground. One farmer said it was sad, trying to harvest a crop that wasn’t even as high as last years left over stubble. And if stones and sheep poo end up in a sample they will send a farmer home with his load. I sampled for CBH for a few years and its hard to tell a farmer he’s being docked for screening or that his load is going feed. It’s their livelihood. 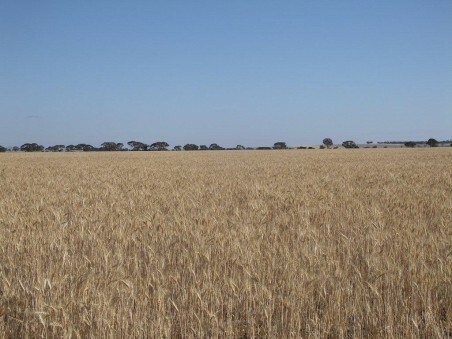 My husband works for CBH, where all the grain is stored…but not much will make it to the bin this year as farmers will keep most of it on farm for seed and sheep feed. I hope a few of them get some extra, unexpected bags to give them hope. 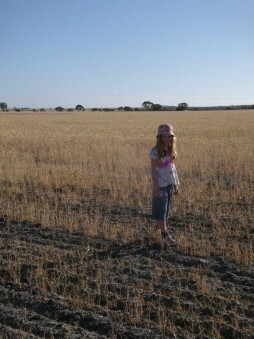 My daughter is walking through a crop so you can see it…or lack of it.